The pair is still in the consolidation pattern above 1.40+ sentiment level and below 1.4216-60 resistance zone. 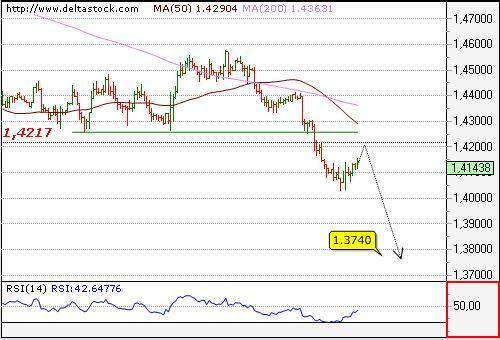 The intraday bias is slightly positive with a crucial level at 1.4080 and a break through that support will aim directly at 1.3924. Crucial on the upside is 1.4260. 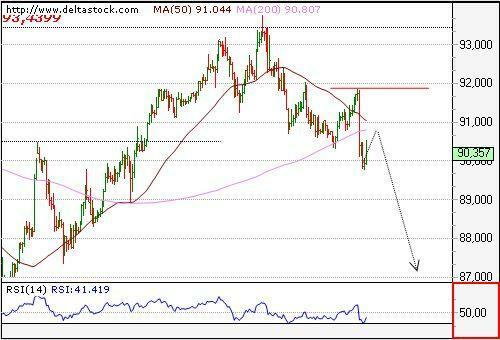 The minor consolidation above 89.77 is still on the run and we expect it to be limited below 90.80 resistance level, before next leg unfolds downwards, to 88.90. 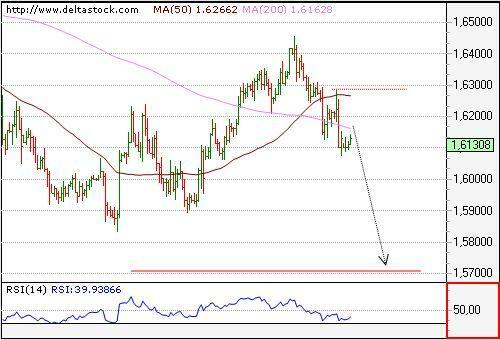 Friday's break below the crucial 1.6167 transformed the minor rise from 1.6125 in a corrective phase and the downtrend was renewed, reaching a temporary low at 1.6077. The overall bias remains negative for 1.5901, en route to 1.5706 and crucial on the upside is 1.6283.